Welcome to term two of this series! I thank God for the strength I was given to conquer the first term of my Masters and am now ready to tackle the second term with twice as much conviction. On Mondays, instead of statistics, we have a long day of Global Health Governance and Challenges. Those words seemed so foreign to me when I began. This involves the analysis of the pros and cons in policy making and governance in the context of global and public health topics such as marginalisation, nutrition, maternal health, and crisis. The very first lecture took me by surprise as I did struggle to understand governance in the private and public health sector. Nevertheless, it is a very interesting module that will undoubtedly require hard work and a lot of background reading. I never, in my 21 years of study, needed to consider policy, law, or governance. This masters forces me to think about things outside of the lab and in the real world. 8:00am: I find myself struggling to sleep at night so I tend to wake up a little later nowadays compared to before to squeeze in some more rest. I've always been a night owl so this comes to no surprise but I was truly hoping to make the transition into an early bird. Even if I have all devices off and across the room, I tend to begin to drift properly around 1-2am. My mom makes me a delicious omelette packed full of veggies in the morning and if I'm lucky, I get french toast with rose essence. 9:00am: I am out the door for my morning walk. The weather isn't as sharp and chilly so walks tend to be more pleasant. I try to take the longer route to slip in some extra cardio. 9:30am-11:30am: Class begins and it is long. If you look at my previous 'day in the life's' you will find that I always had a break between sessions. However, lectures tend to be a lot longer with no breather. Since the topics are more practical and applied, it is manageable. Plus, if you find yourself zoning out and use your laptop to take notes, you can pull up some other work to do on the side (which I do). As this class is assessed purely through coursework and I go through the notes online prior to class, I can sort of justify myself. Nevertheless, if it is an exam based module and the topic is something you would inevitably need to revisit, do NOT do this. Especially if you are prone to surf social media instead of ScienceDirect or PubMed. What we learnt this week is marginalisation of different groups in society such as aboriginals, ethnic groups, or even segregation by religion. There are many health impacts that need to be assessed as a result of this natural divide. 11:30am-1:00pm: Last term I took the Public Health Practice module which has a project tied to it as a form of assessment. This project's due date is February 13th so although I do have some time, I've been struggling to think of a feasible topic for a while. Initially, I wished to intervene in rural areas to improve health literacy of mothers. This would in turn increase the likelihood of immunising the infants. After discussing it with my professor, we decided that such an intervention is too simple and perhaps already done. After careful reconsideration and going back to the drawing board, we finally decided on an intervention which would be feasible during this lunch period. It took one hour of back and forth but proved extremely beneficial. Not going to lie, I was near to tears about the whole situation because who wants to be told to start from scratch because their idea wasn't innovative? But it truly taught me the importance of perseverance because I am a million times more happy with this idea. It is feasible, scalable, and realistic. Limitations are obstacles set up by your own mind. This felt like a sign that indeed with genuine hard work and research, you will come out on the other side of your worries. I ended up eating my lunch really quickly before class started which was pasta made with naga pickle sauce courtesy of my mother. 1:30pm-3:30pm: The two hours involved extending on the topic that we had discussed earlier. Many lecturers and speakers are experts in their field and have a full time job outside of the university. Therefore, their talks are delivered in a practical and applicable sense based on their professional experiences rather than theory which is very important in public health. You begin to realise that there is no quick fix method and underlying root issues are very difficult to tackle. Careful consideration in policy administration is vital. 3:30pm-4:00pm: Break time! I use this time to talk to one of my good friends on the course and also check up on my social media whilst eating an apricot and yogurt fruit and nut bar with a cup of coffee. I am feeling deflated at this point and a lot of people seem to be leaving. Sneakily, our lecturer decided to take attendance at this point so thank goodness we stayed. 4:00pm-5:30pm: As per usual, afternoons are dedicated to practical sessions. We got into groups of 5 and discussed a policy, its reasoning for implementation, and the pros and cons of it. It was a very heated debate with intense shouting. Though I didn't say much, it was very interesting to see how other people view a situation and would wish to handle it. It goes to show how subjective individuals are as well as government. There is no right or wrong answer. It is nearly impossible to impress everyone which was very evident in this case because I felt someone was going to end up beheaded. I wish I had popcorn. 5:30-6:00pm: A group of people and myself end up walking in the same direction as we all head home. The discussion about the policy practical didn't stop in class. There was still debate but not nearly as heated as everyone appeared less hot-heated. 6:00pm-7:00pm: Unwinding and relaxing is so vital in my day, especially lengthier ones like today. I did send a few emails for potential dissertation ideas and proposals but otherwise ended up just lounging, drinking coffee, watching youtube videos, and reruns of Project Runway. 7:00pm-8:00pm: I try to squeeze in a work out, even on longer days like today. I am currently following two work out regimes which I plan to do a detailed review on in due course as I am only on week two for both of them. It involves body weight circuit training which targets different areas of your body each day: upper, lower, and full+cardio. 8:00pm-8:30pm: I'm pretty smelly and look like a sun-dried tomato. A shower is definitely in order. I finished my Vineyard Peach Shower Gel from The Body Shop and am now using the Green Tea scent that is extremely refreshing. I am working through my bottle of Fijian Lotus Water Body Lotion which is absolutely delightful. It keeps me feeling moisturised for 24 hours minimum as I can notice I am suffering less with dryness on my legs, back, chest, and stomach. My eczema has flared up though on my forearms but I believe that it is stress induced from my project sitting on my head like a pile of bricks. Hopefully we should see improvement in a couple of weeks. 8:30pm-9:30pm: I use dinner time as a way to talk to my mom more. When I am out for the whole day like today, and deadlines are around every corner, it is difficult for me to ensure that I get enough time with her. Even though we ended up discussing my work and intervention, it was still pleasurable. 9:30pm-12:00am: Evidently, my Mondays are not jam-packed with productivity. The trick is to prepare around it. As I know that my Mondays are very full and I will be mentally drained by the time I come home, I do a fair share of my studying and work at the weekend. I have Tuesdays off for these five weeks so I can afford to slack a little with such a tight schedule. Nevertheless, I did manage to work through the framework of my Public Health Project and gather reading material to use for reference. 12:00am: I get into bed to fall asleep. I think my mind struggles to shut off and is constantly thinking about work, blog ideas, and many other desires. I set my alarm for 8:00am to have a productive day tomorrow and end up drifting. I hope you all do find these posts insightful from a first-person perspective on what a Masters in Public Health is like. It is difficult to gauge this kind of information from a prospectus on a university website or brochure. I am very honest in my days and routines. Clearly on days like this, my productivity is not as high but never fear. You are allowed more relaxed days as long as you remain on top of your work over all. Pink of Me is a true baby pink that almost appears white with a slight pink undertone. It is a very soft shade which works to highlight the inner corner of the eye as well as the centre of the lids to add dimension. I was apprehensive about the shade initially, unsure of how I would use it but I actually feel that it blends in easily to neutral eye looks. Furthermore, it is the perfect matte highlight down the bridge of my nose when I wish to contour. Earthquake is much more my color that I can use on a daily basis. 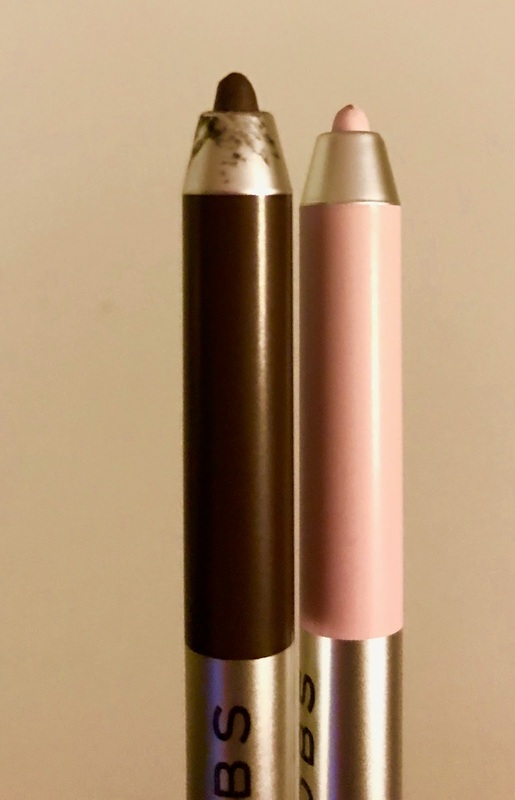 It is a chocolate brown which works to tightline, waterline, and line your lids considering it is easy to control and the tip is fine upon first use. Additionally, the brown can act as a base for a smokey eye look with it's blend-ability. Therefore, there are multiple uses for both shades of the highliner. Chocolate brown is a lovely color to lean towards when it comes to lining the eyes as it is less harsh than black and perfect for everyday. This can be used for contouring the nose because it is the perfect matte chocolate brown shades. Both the colors are extremely pigmented, opaque, and absolutely smudge proof. 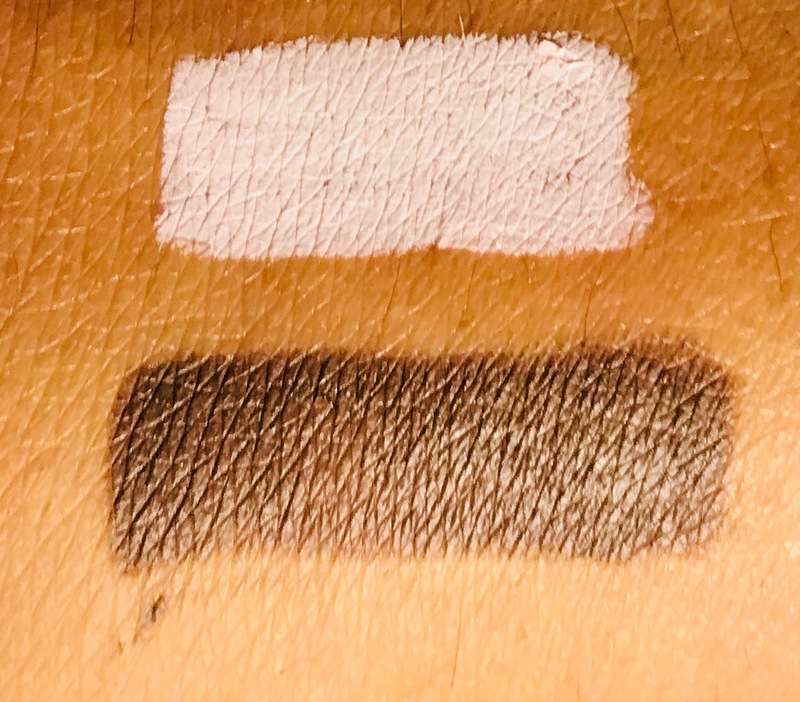 I asked my mom to rub the swatch on my hand as hard as she could and there was no trace of smudging at all and it looked just like the pic above (they are before and after pictures but you just can't tell because it's THAT good). Formula and Application: The Gel Eye Crayons are creamy; allowing ease of application. They glide on without tug or pull. I found that light swipes go a long way so I can be gentle in the eye area where our skin is thinnest and requires the most care. They are very easy to blend. One downside of this is that with creamy products comes delicacy. The tips could indeed break or squish so care is needed to make sure the highliners are properly stored and maintained. Nevertheless, the fine tip ensures high precision. Price: As there is a sharpener at the end of the pencil, there is less product present in order to occupy this apparatus. I am grateful as I constantly lose my eyeliner sharpeners or have ones that are unsuitable for the thickness of the eyeliner or crayon I wish to use. However, this does mean that the length of the pencil does not depict how much product you are going to receive. 8:00am: I have a fresh, clean, and moisturised face. Earthquake was applied to tightline, waterline, and line the lids but I chose not to go for a wing since I find that look never quite suits me. I blended the shade out on the outer corner of my eye for a smokey effect. The color Pink of Me was used in the middle slightly to add dimension and the tear duct. I chose not to use primer or setting spray for a true test with no confounders. 10:00am: There is no trace of creasing on the lids or smudging of the product. Obviously, it is early times, but it looks the same as it was applied. 12:30pm: As I have mentioned before, it can be quite polluted in London. I recently have been suffering with very watery eyes out of no where. Despite this, I don't find that it has affected my makeup in any way, shape, or form which I am grateful for. 2:00pm: So far, the highliner appears to be weather-proof without fading. The color remains opaque and has not budged. 6:00pm: There was no major change until now as I noticed the slight chance of creasing which does not appear to be unfixable with a primer base. 8:00pm: The highliners both appear prominent and opaque with no signs of fading except in the inner corner of my eye where I applied Pink of Me. Otherwise, there is only the slightest sign of creasing on the lid by Earthquake. Overall, primer can easily fix the lids but the inner corner is inevitable as that is where the tear duct is present. I do believe the longevity of the product is at least 10 hours which is highly impressive. Most eye products do tend to last considering there is few chances of smudging, smearing, and fading compared to lip or face makeup. 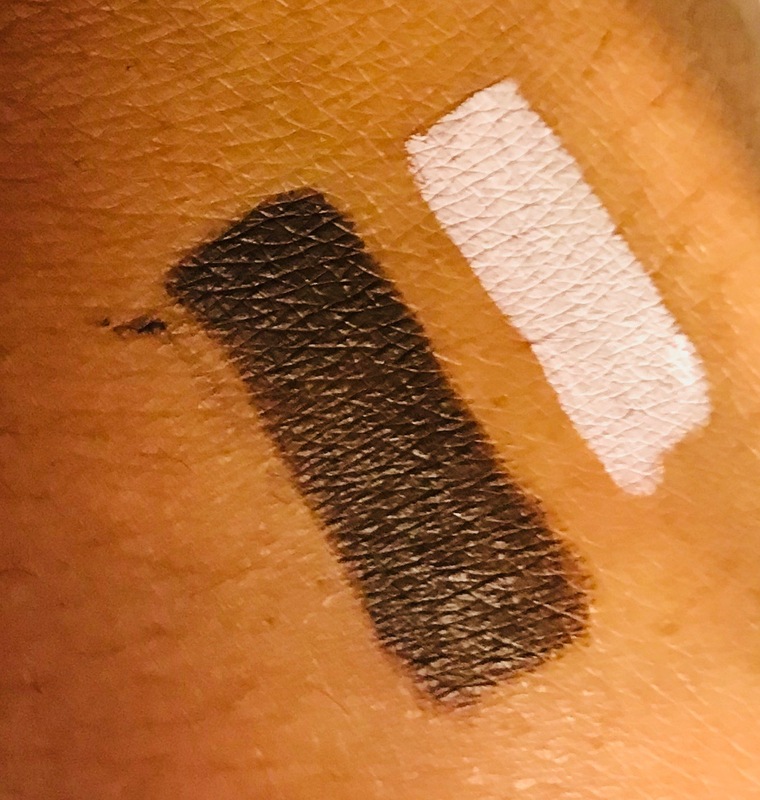 There was no signs of bleeding of the color which makes it the perfect eyeliner for events and everyday as you do not need to worry about reapplication! Overall, I would most certainly want to purchase highliners in the future to branch out with my eye looks and play with more color. I do believe they are worth the money with their longevity throughout the day and their multiple uses. However, that doesn't demean the fact that it is very pricey to cough up £20 for an eyeliner which I find many drugstores can dupe for a lot cheaper. All in all, if you are just getting into makeup or absolutely love having variety, this is surely amazing addition for your collection. This is a classic tag which is a happy mix of self-esteem breaking and raising. It is a way to instil humbleness as well as letting you toot your own horn. The aim of the game is to list three physical things you love about yourself and three that you dislike. Even the person you deeply admire and can't help but insta-stalk will have insecurities that are blind to others. We grow use to our own appearance and qualities so insecurities tend to feel more prominent and noticeable than others. First I am going to mention three qualities I dislike because I want to get the annoying part done and dusted and end on a high note. 1. My nose. When I was little I busted my nose and since then it has grown crooked and I struggle to breathe through one nostril. The 'condition' is deviated septum which tends to have a range of symptoms, some severe and some simply aesthetic. I am terribly insecure about it and use to attempt to give it a straight appearance by contouring my nose but you can see straight through that feeble plan. 2. My cheeks. I blame it on the endless KFC, chicken wings, and donuts. I have very full chubby cheeks that easily fuel my insecurities. It's a prime reason why I dislike my pictures or face because other features seem to be overpowered by my cheeks. In addition, I feel like multiple hair styles just do not suit me and as much as I love wearing high buns because they sport the most comfort. Therefore, I use my hair to frame and hide a bit of my cheeks rather than embrace them. A prime motivation to my working out is to help tone my face. Luckily it is something that I can change eventually but it obviously requires hard work and dedication. I also had mac and cheese for dinner. 3. My height. I am 5'1 and a 1/3. That third is so valuable. When you are smaller, and have a diet that consists of fried foods and sugars, it is very obvious. My height is a huge source of a lot my insecurities as well. It is very hard for me to look and feel feminine due to my stout nature. I'm often misjudged for being a lot younger than I am because of my baby face and shortness. It doesn't help to throw in a high pitched voice into the mix. I would love to have a few more inches but I know that it is. At the end of the day, I am human. I end up in ruts. I compare myself to models in magazines and even individuals on television with their beautiful long legs and get extremely envious because my oil and refined-sugar filled thighs are a huge insecurity of mine, hence why I tend to post work outs regarding legs and the derriere. Now to change the dynamics of this post. 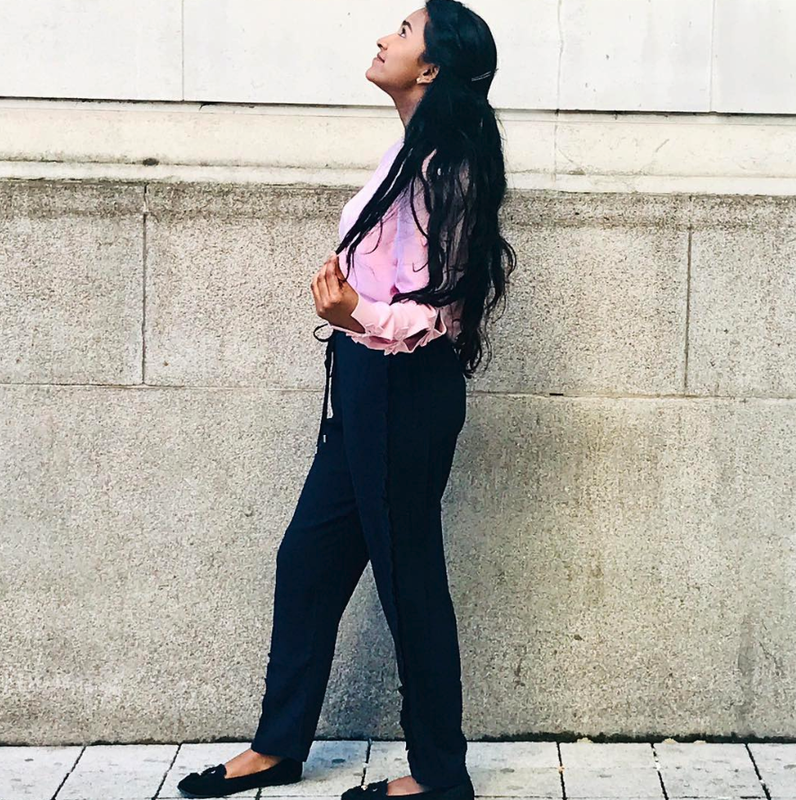 Let's talk about a few things I do actually love about myself. 1. My eyes. Growing up, and even recently, I use to hate my eyes. I felt they looked childish and most people seemed to want those alluring, flirtatious eyes that appear half opened when they aren't. I would wing out my eyeliner like no tomorrow and avoid mascara just so they appeared elongated and flattering. Nevertheless, looking back I realise I was being quite silly. It is one feature of mine that I do get the most compliments on from strangers or others. 2. My hair. My hair is pretty cooperative when it comes to styling. If I put heat into it, it will hold the style for the day or the next wash. Braiding or twisting it over night helps control the frizz and gives me a tousled and natural impression as well. Though I do wish I didn't have in-between wavy-curly hair and it was either perfect ringlets, beach waves, or stick straight, I am pretty happy that it copes with diversity pretty well most of the time. Furthermore, my hair tends to grow out quite quickly as well meaning that bad hair cuts can go amiss soon. 3. My eyebrows. I sport those thick desi eyebrows. Once I get them threaded, I feel like a million bucks for a week until I need to visit again (#browngirlproblems). They frame my face beautifully and I never need to fill them in unless I decide to go in with tweezers and make a mess of them. Growing up I hated my eyebrows but now I am so grateful I listened to my mom about waiting for them to grow out and only threading them for the first time when I was 17. Yes, I know, that's super late but it played out perfectly in the end. I hope you guys liked this post and I just want the main point to be: perfection is in the eyes of the beholder and we are our worst critics. You are beautiful regardless of what your mind tells you. Listen to your heart. Everyone enjoys little luxuries in their life. I for one am guilty of owning things where the price tag is a bit much when a drugstore product can do the same job. There is no harm in treating yourself. Keeping it real, none of these products are triple figure numbers because I could never bring myself to own anything to that extreme. Bar one product, all of these are under £50.00 with a fair longevity, justifying the cost. 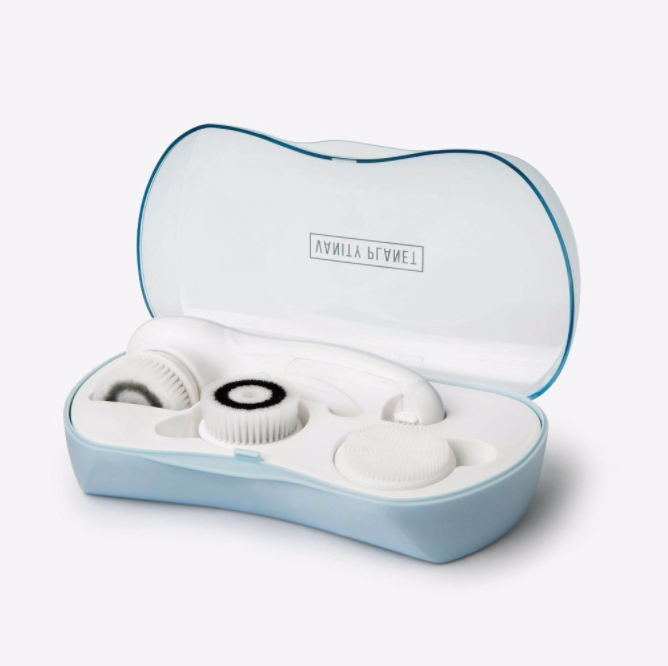 I do have a detailed review here on my blog but this product easily takes the number one spot. Although the price may cause individuals to be hesitant, it is a long lasting product which means you do get a lot of bang for your buck. It nourishes your hair to such an extent that flaunting it in its natural state with little intervention is no longer a live horror story. Another product for which I do have an in-dept review available here. 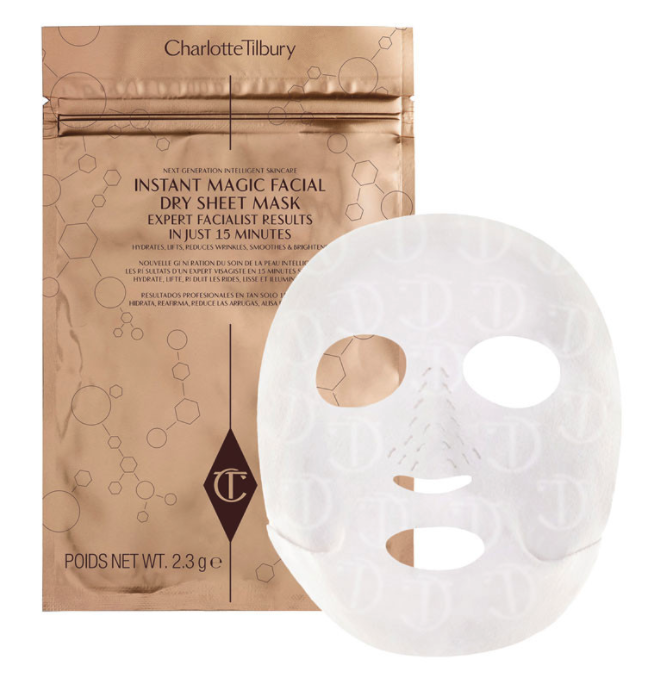 Initially, a dry sheet mask may appear to be a gimmick for marketing purposes. However, it is indeed completely dry until application. I assume the heat from your skin activates nourishing oils on the sheet which transform tired and dull skin to the best glow up that no highlighter can beat. It provides a natural, from within kind of radiance that lasts for about 3-4 days. Although these are extremely pricey, you can reuse one mask up to three times. Many beauty vloggers have demonstrated using this mask post application of makeup in the middle of the day to freshen up their face which I have not personally tried. If you cannot justify spending so much for a face mask then this is your next best bet. I've tried a range of liquid highlights and illuminisers in my past and have struggled to find one which does not look like I bathed in glitter, appear oily later on in the day, or ashy. The beauty of this highlighter by Marc Jacobs is that it hydrates and nourishes the skin whilst providing that sought after glow. I prefer to mix it with a bb cream or tinted moisturiser but it works well when mixed with a foundation. In addition, you can spot-highlight the top of your cheek bones, nose, forehead, cupids bow, etc. with ease as it blends like a pro without much tug and pull. A detailed review will come soon. I was hesitant to mention this product as I am loyal to my Nivea Soft Cream but unfortunately I ran out. Out of desperation I reached for this balm that came in my Birchbox x Vogue 125 box to try. I didn't even realise the price tag and I was applying this twice a day: once in the morning and once in the evening. It is a miracle. It is a great compliment to drinking water and helps maintain your skin to good quality if you forget. I aids in radiating the skin and channels that inner glow due to the ability of nourishing the skin at a cellular level. It is a very steep price of course, as is every other item in this post, and has a very pungent scent. Therefore, I do limit myself to only using it at night and masking the scent in the morning with makeup or applying significantly less with a patting motion. I believe it arises from the sandelwood and rose petals. This combination perhaps does not create a pleasant aroma. Overall, it does indeed smell organic. 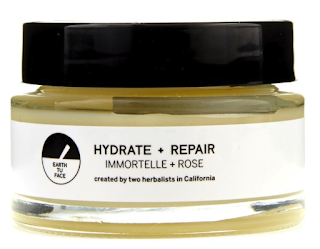 Even our lips need nourishing. And what better product to use than a conditioner that is thick, viscous, and smells like a bed of sweet roses. My lips love to make it seem as though I've never seen water in my life. This is the best treatment I've found to tackle that issue but it is very expensive so I do use the product sparingly as it is in a tube. Hence, you can run out quickly. In my previous post I mentioned breaking out of my comfort zone and experiencing new things. I missed Monday's post because of this project which I found hard to do as I wished to keep it from my mother until I completed it. It was very emotional for me to produce this piece. I am fully aware that the editing is indeed borderline basic but I hope that didn't detract from the message. When you lose your best friend, or any individual that played a huge role in your life, it is as though a part of yourself had gone with them. It feels impossible to heal. It is soul destroying. As though the world is exploding. But it's not. Undoubtably there is going to be a hole inside you. It feels physical and prominent. Like broken glass, the pieces will never quite fit together perfectly like it did before. Vulnerability will take over. You're going to feel lonely, misunderstood, and gray. It feels near to impossible to take a negative situation and transform it into something positive. Fuelling that pain to propel you forwards is a skill that all of us will be forced to endure. That pain will eventually turn into strength. It will provide endurance to achieve your dreams and nourish your soul. Life will never be the same as it was before but doesn't mean it cannot be as good. It's not selfish of you to take care of yourself during this time or any moment in your life. Don't settle or belittle your capabilities and worth. The person you are grieving will want nothing less than the best for you. They do not want you to sell yourself short. Do not use this loss as an excuse to falter in life. Nothing is an excuse. At the same time, do not force yourself to mend in days, weeks, or even years. Such a circumstance may never settle easy in your stomach but do not sacrifice your dreams because your flying colors is what your loved ones would've hoped for you. You are not alone. Never alone. Take it easy. I took another 10 day hiatus which is shorter than my last one but still unacceptable by any means. After completing my exams, I had two pieces of coursework due alongside preparation for other group work so that requires more of my attention as I cannot let my other teammates down. My modules consist of travelling between campuses which means journey-time is taking over my schedule. It is a range of terrible excuses, I know and sorry is the best thing I can offer. I've completed term 1 of my masters which is absolutely surreal. I remember sweating with nerves about my GCSEs and I can't help think back to how little those were compared to now. Term 2 is much more up my alley with practical and analytical learning instead of basic theories. I am now learning about Global Health Challenges, Governance, Innovation, and Health Economics for the first half, and then Health Policy and Health Systems in the second half. I still have coursework from term 1 that has trickled over regarding Public Health. It's made things a little bit difficult because though my exams are done I still have this piece of work left to tackle. It's been proving harder than I hoped as it involves creating an intervention from scratch to improve a public health problem. On a positive note, I've been working on a video project which I may upload to my Youtube channel to resurrect it or directly upload it to my blog if that is feasible without putting it on a video-hosting website. This has taken a lot of my time as well, further explaining my lack of blogposts. I haven't uploaded a video onto my channel since 2015 and I've privatised all my videos. A huge reason why I did that was because I felt I was conforming to topics and discussions that would get views. I wasn't necessarily a view or subscriber hunter but I was indeed afraid of being true to myself for fear of bad reception or negativity. I played it safe. Over the holidays, I realised how much I do miss editing and filming videos, allowing my creative juices to flow (cheesy but true). Therefore, I decided to take a second stab at making videos but with a twist. I will just post and do whatever my heart wants- not necessarily society. I want everything I do to hold a positive message and reach a diverse range of audiences. The beauty and fashion community on youtube is highly saturated and full of talented and expert individuals. I do still wish to keep that aspect as I am indeed a certified fashion stylist and enjoy it thoroughly. However, in a world where negative media or mindless content is prevailing I wanted to make messages that stuck and held positivity and hope for those looking to find it. I am hoping to release that video sometime next week - I played with some new editing techniques and classic jump cuts so please go easy on me, I am still new to the game. Lastly, I do have some fun blogposts planned for the next few weeks so on Monday I will be posting back to normal having finally sorted out these mini life changes I've needed to do. Lots of love and thank you for all your support. I have raved about this oil enough times for it to deserve a separate blogpost. Over summer, I was introduced to Ouai for the first time via the BirchBox x Vogue 125 collaboration which was rose themed (and absolute goals). I own the Rose Hair and Body Oil 28mL, not the full size that retails at £26.00 for 98.9mL. I've been religiously using this oil (about 3 times a week) since I received in back in July and I am half way finished after 5 months. I am sure I can squeeze at least another 3-4 months in before the need to purchase a new one. This demonstrates that, although the price is quite hefty, you are getting a very fair amount of use out of the product. Only 3-4 drops are required to work into your hair. 1-2 drops if your hair is shorter and finer. Note: My hair sits about half a foot from my waist and is extremely thick. If not maintained, it is coarse and dry. Scent: Addressing the elephant in the room, the oil smells delicious. It is sweet and floral but not sickly in the slightest for those who shy away from that kind of aroma. The smell is not overpowering and can easily be masked by a perfume. Price and longevity: For £26.00, this may seem overpriced but considering the lasting power of the 28mL bottle, this product should last for over year minimum. You are getting your pennies worth. The viscosity of the oil is fine enough to be spread around the hair easily. I like to work from the mid-shaft down and then massage my roots from underneath thoroughly so I do not appear oily. Additionally, you can use this on your body so less product is wasted. I like to work excess oil left over on my hands into my neck to eradicate dryness. Efficacy: As an individual that suffers with naturally coarse and dry hair, this is a miracle in a bottle. I find myself appreciating the natural texture of my hair more often due to the lasting effect of the oil. This oil doesn't work ONLY when you use it. It provides nutrients found in shea, rosehip, lychee, and absinthium with intention to not only ensure the hair has a natural shine but protected and hydrated. I believe it is acceptable to use this product from a daily basis to 1-2 times a week gradually just to maintain the effects. My natural frizz has dramatically reduced as noticed by my fresh-out-the-shower head. It is easier to work with my hair, holding in styles from heat or simply overnight braids/knots. Cons: The one major and only con I found with using this product is that it tends to leak when sideways and spill. The bottle cap mechanism isn't sealed tightly enough to prevent oil from coming out so always store the oil upright. This makes for travelling with it very difficult so I put it in a separate ziploc bag to ensure my other products or items do not get oil-ed. Overall, this is most certainly an oil I wish to repurchase. I would invest in the full size version as the longevity of the product illustrates its worth. It smells great, does more than what it is advertised to do, and feels luxurious. If you want happy hair, this is a go-to. This moment matters. And it could be snatched away any second. Hate is prevailing. The news illustrates an increasing death toll. Behind each number, there is a river of tears, a mountain of regret, and lost moments. Reasoning behind each funeral comprises of ignorance and loathing. People are quick to judge. Individuals are categorized within seconds and they’re suppressed based on religion, race, financial status, etc. It is heart breaking that being good natured cannot gain respect in a narrow minded society. Although this wall can easily be broken, there is refusal to acquiescent what one fails to understand. What is done behind closed doors is evaluated. Who are you praying to? Who is your partner? Can you pay your bills? What are you cooking – is it oriental, Indian, or British? 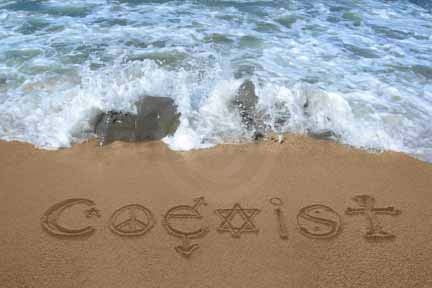 Why it should be of any one else’s concern what my beliefs or roots are is beyond me. I do not ask for one to approve of an alternative lifestyle. On the contrary, going out of your way to cause distress to another is ignoble. Here, tolerance draws its line. Innocent lives are stolen due to greed and ego: gluttony for power and the desire to be right is a dangerous mix. Evidence has been exemplified through mass shootings, wars, and abuse. Justice is far from reach. It baffles me that the word ‘freedom’ can be used so loosely in a realm where no one can be unrestricted. Shackles tie everyone to labels and stereotypes. Underneath these tags, conversely, are souls. They are reflections of ourselves- characters with aspirations, families, and moments. Moments they’ve had and moments they yearn for. They can be as simple as dinner or a loved one’s birthday, being a wedding guest or being a bride. These breath taking memories are being robbed from individuals since their surface is seen as scathing. Lives are being lost for such petty causes. Whether it be negation to change or rebuttal to believe, mankind is the most threatening race for said reason. We were blessed with thoughts; giving us the ability to make decisions and deal the cards in our favor. Nevertheless, the most frightening fact is that us humans consciously choose to harm and conduct evil. With power of thought comes morality. Yet still they purposely wish to dispose the happiness of others. It is assumed that bliss is reached via the degradation of individuals whose beliefs do not align with our own. Despite how tremendously false, it is not uncommon to see revulsion towards variances. Little do people know the answer is love. It can travel through the narrow minds of many and create an openness that is desirable. This magic chemical will counteract the hatred of mankind. It enables us to see eye to eye. Human to human. Our resolution is the same. We, as beings, wish to obtain contentment. But thieving joy will not aid in fulfilment. Likewise, larceny of a life doesn’t give yours purpose. This simply suggests that you belittle the value of your own by way of being able to rid of someone else’s with ease. The new generation must change this world. Abolish a monochrome viewpoint. Forget the labels. Coexist. Teach our children to love, accept, and respect. Because this moment matters… and this moment may be our last. Happy Holidays! It is a brand new year which calls for a round up of my favorite things of 2017. This was an extremely eventful year with many ups and downs. I am always welcoming a new year with open arms, however, and am truly exciting to see what 2018 has to bring! I have always been one to adore a glowy face. 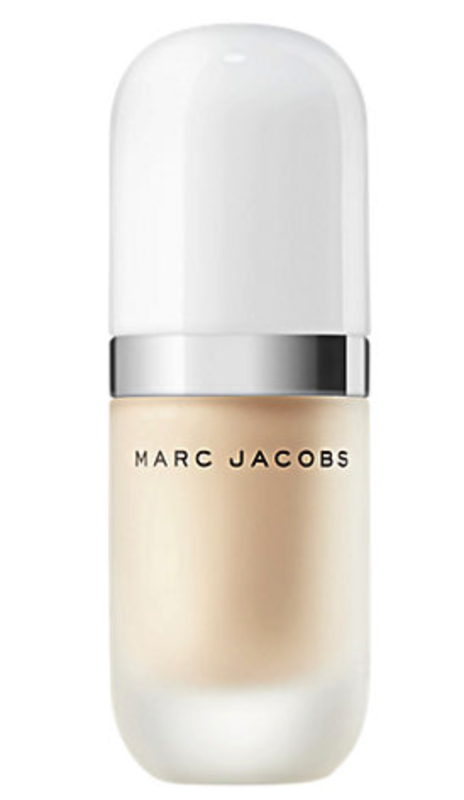 Although I was united with this product for a short amount of time, all credit is due to Marc Jacobs 'Dew You' Coconut Illuminiser. It is, hands down, the best liquid highlighter I have ever been blessed to try. If you're in John Lewis or anywhere else that stock Marc Jacobs Beauty, be sure to swatch this and fall in love. Detailed review: here. I am going to throw it back to the ELF Cool Bronzer who has been by my side through thick and thin. I can mix all the colors to get the perfect flush of brown-based pink on my cheeks or contour my little heart out. 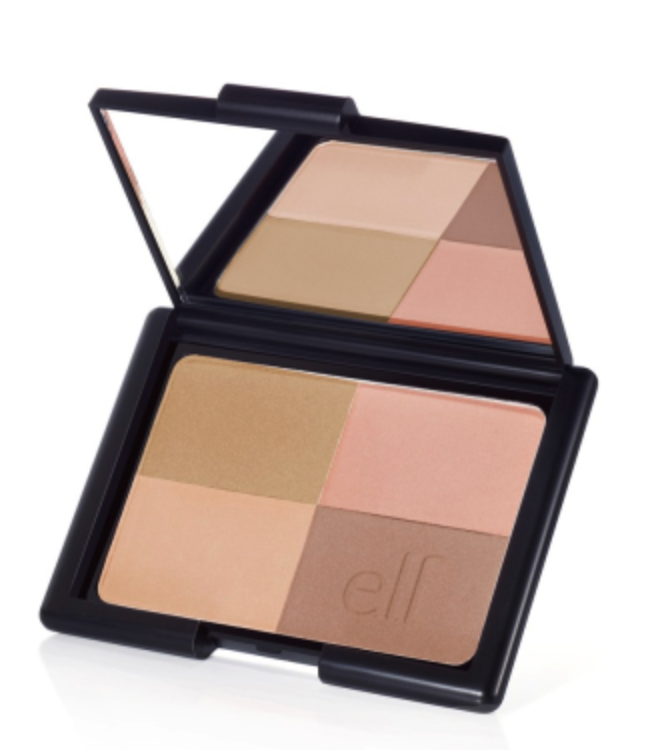 For the prize, it would be silly not to get this matte bronzer palette which is perfect for travel and everyday use. I bought mine quite a few years ago and it is STILL going strong and I haven't hit pan on it. The Tarte 'Rainforest in the Sea Volume II' eyeshadow palette has the most stunning neutrals for everyday and smokey glam. I haven't built up the courage (or money) to splurge on an Urban Decay Naked Palette but received this with a BoxyCharm Beauty box. Whenever I want to wear an eyeshadow look, I will reach for this palette without hesitation. **This product is limited edition but I highly recommend checking out Tarte's Rainforest of the Sea Volume I and III which can be bought from the Tarte website. This was the year of matte lipsticks. I want to compile my top favorite ones I've encountered but for now I am going to have to say the Arrow Lip balm was my most used lip product of 2017. I got quite late into the game of matte lipsticks but lip balms are a necessity. This color-changing lip balm that creates a stunning shade suitable for your skin is a must buy. Plus, it smells like gulab-jamun so who can fault this. The Vanity Planet Skincare Spa is the best investment in skincare one can make. With the numerous discount codes floating around, I would be surprised if you paid full price for this product. I prefer to use the silicon brush to work in my face wash; leaving me feeling refreshing. On days where I need a more thorough exfoliation I will pick up one of the brushes but they require more scrubbing-effort afterwards to get out any residue. Inglot nail polishes take the cake. They are long lasting and allow penetration of oxygen and water, meaning there is minimal if any damage on your nails. My nails do still grow at an alarmingly fast rate and do not break easily and are not brittle. I highly recommend investing in this brand's nail polishes if you want something that is long-lasting (5-7 days before first chipping) and healthy. This product is an absolute dream come true. Not only is the scent perfect for someone who loves a floral walk in the park, but the oil is a miracle. I use to be very insecure of my natural fresh-out-the-shower bed head, but this has made embracing my true hair easier. It smooths out my curls and waves whilst providing nourishment to endorse shine. It appears healthier and stronger. Though this is a bit of a pricier product, I am a sucker for the body shop body butters. I have so many that I am truly in love with but here are my top 4: Strawberry, Almond Honey (YES), Papaya, and Coconut. Who can resist the feeling of luxury without coughing up too much money? 9. Clothing piece: Hanji Hello by Rootsgear. Not only am I a die-hard fan of Raxstar, but the quality of his clothing line is amazing resulting me to invest in three of his T-shirts and two of his hoodies (yes a lot of spending went into this but its a lifestyle investment). Check out an in dept look of the outfits here. Worn and torn. I can't help but wear these with any outfit, even dresses. They're comfortable and my style, and let me feel put-together. 2018 calls for breaking into my Burgundy ones though I can't bring myself to do it since they're too beautiful. 12. Favorite TV Show/Movie: Pretty little Liars, Planet Earth II, and Zootropolis. I am not someone who is hooked onto TV or movies. I am much more of a youtube binge watcher because my attention span is shorter than I am. However, I have been watching Pretty Little Liars since the pilot religiously so of course it had to have a mention because the finale was in 2017. Since I do want to be 100000% honest on my blog, I must say this. I was thoroughly, fully, 100% completely disappointed in the finale and feel it was the biggest cop out ever; leaving many questions unanswered. Just had to get it out there. On the other hand, when one door closes, another one opens. I fell in love with Planet Earth II and didn't realise how much I was missing. Small Great Things by Jodi Picoult is a must read for anyone and everyone. Unfortunately, a lot of negativity has taken light in 2017 in the realms of racism and phobias of all sorts. As a result, this novel emphasises the importance of equality and how, at the end of the day, we are all interconnected in society benefitting one another in some form. We are all the same on the inside. I cried rivers reading this book and feel like its received very little credit compared to the paramount messages it holds. It is a heavy-on-the-heart kind of read, which will make individuals feel uncomfortable which is the obvious aim of Picoult. She wanted you to feel uncomfortable to realise this is reality and this is the world we live in. I had a lot of different food genres this year and I am truly grateful for it. I think one of my favorites has to be a small pizza place in Bristol that does Indian style pizzas (oh yes, come thru with that madras sauce) and also burrito bowls are a (semi) healthy addiction of mine. Coffee. Coffee. Coffee. Always classic coffee made by my mom on the stove desi style. I love the Nescafe Alta Rica coffee powder which is rich and delicious. This song speaks volumes to me and unravels every string around my wounded heart. Listening to this song makes me feel vulnerable and it's a love/hate sensation. 2017 was a rollercoaster: emotion and physical ups and downs on repeat. I've reached unprecedented heights and all-time lows but lessons were learnt and blessings were attained. This post is an overall summary of my experiences, accomplishments, and goals which may inspire someone perhaps lacking the motivation. Nothing has come easily. Nothing was handed to me on a silver platter. I have scars of the obstacles to prove that this journey did take blood, sweat and tears. It has made me stronger and ready to take on 2018. Graduated with a BSc (Hons) in Cellular and Molecular Medicine. Pursuing a Masters in Public Health. Became a Certified Fashion Stylist. Began this blog which lead me to so many opportunities, especially interviewing my idols! Became an ambassador and raised money for Untapped Shores. Embrace the true you. Don't change for others. You'll lose yourself. Dream big. They should seem impossible as success lies outside your comfort zone. Kindness will take you further than anger, violence, ego, or superiority ever will. It isn't selfish to take care of yourself. Health is wealth. It can go any second, unsuspectingly. Nothing will be handed to you. You have to work hard and struggle to achieve. Work out 3-5 times a week. (Standard New Year's Resolution but has to be done). Upload 3 blogposts a week. Cleanse my soul of toxicity. P.S. I am so sorry for the lack of posts this past few weeks. With exams around the corner and simply having family time, I've not allocated enough time to sit down and write. That should all change in the near future with better time management skills. Nevertheless, I hope you and your loved ones had a beautiful, peaceful, and safe holiday season and that 2018 is a year full of success, joy, and love! P.S.S The next post will be my Best of 2017 (before the novelty wears off).